Hello lovely person who follows my blog or social media (or just happened to stumble upon this post, in which case hello and welcome, here is a little more about me, and here is a bit about Mum). Mum – continuing to support us with charity events, even when she was wheelchair-bound. As you may know, I’m currently fundraising for Martin House Children’s Hospice. This post tells you a little bit about all of that, but essentially, I’m attempting to raise £5000 in order to improve the lighting in the corridor of the children’s bedrooms to both improve the general light levels, and highlight the artwork on the walls. I’m doing this in memory of Mum, a year after she died. 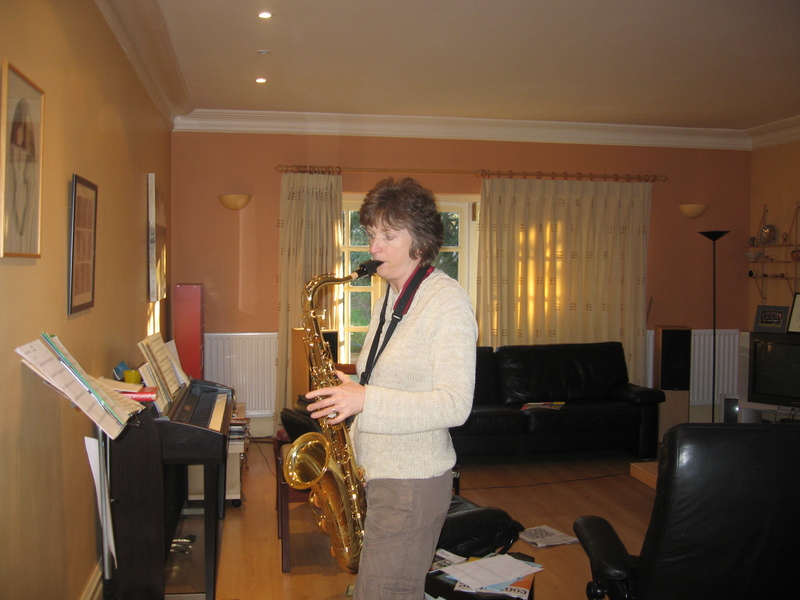 It’s an ambitious target, and we have lots of plans for events and other things to help raise the money, but it would be amazing if we could hit £1000 by the anniversary of Mum’s death (Sunday). To help us on our way with this, I’m starting a social media campaign. It’s not particularly original, but hopefully it will be effective. The idea is, to post a picture of something which lights up your life (we’re lighting up a corridor, and Mum lit up the lives of many people, so it seems fitting). It could be your child, your cat, a friend, a sunset, a bar of chocolate… anything which lights up your life in some way. As you post the picture, tag 5 of your friends to do the same (there were 5 in our family so it seems like a good number), and text ‘FOYO53’ followed by £1/£2/£3/£4/£5/£10 to 70070 to donate to Mum’s fund, or, if you’d rather donate online, you can do so here. Thank you to everyone who joins in with this, hopefully we can make a hug difference. How Do You Celebrate A Dead Person’s Birthday? It was Mum’s birthday over the weekend. I asked my flatmate how you celebrate a dead person’s birthday. Perhaps with a caterpillar cake and a solitary candle, alone in a room somewhere. She said she’d join me on the cake. It’s odd how arbitrary dates become meaningful when somebody dies. So many days have passed by since Mum died, most without a second thought, but the 23rd of each month, the monthly anniversary of her death, always sticks in my mind. Mum was first diagnosed with breast cancer just before her 50th birthday, and it really wasn’t a ‘thing’. I was talking to someone the other day about how it literally wasn’t a big deal when Mum was first diagnosed. None of us thought it would ever come back. None of us were ever particularly worried about it. Mum had caught it early; she had a lumpectomy, and then chemo and radiotherapy. But we were told the chemo and radio were preventative not cureative. Mum would take a week off work for each round of chemo, and for radio she just nipped down while she was at work. Cancer round one flew past us and we barely blinked. It was nice to have Mum home a bit more, and she taught me how to knit, but beyond that life carried on as normal. That’s why, when the terminal diagnosis appeared, it was all a bit of a shock (at least to us, I think Mum had known there was something not quite right for a few months). It was four years ago now that Mum was first diagnosed. It’s both amazing and horrible how much life has changed in that period of time. Four years ago I had never seen Mum with no hair, I’d never seen her in a wheelchair, fed her water through a sponge, or wiped her face for her when she couldn’t reach. I’d never made a tiny pizza cut into tiny pieces, made scrambled eggs, or cried into Mum’s unresponsive body. Dad had never sent Mum flying upon encountering a rabbit hole whilst driving her wheelchair, broken such horrible news to our family and friends, or driven to and from the hospital upwards of five times a day. Even in the almost-year since Mum died, so much has happened. My brother got into Oxford, my other brother picked up a handful of GCSEs, and I got a new job. My granddad has been reinvigorated upon the installation of a pacemaker, my Dad’s flown his plane to new places, and my aunt and uncle have visited new countries. 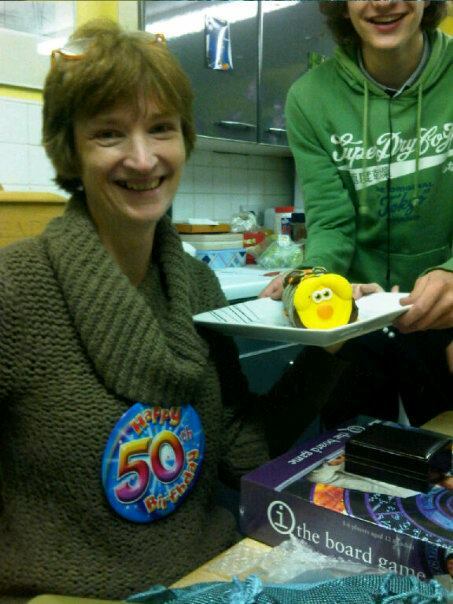 24th September, Mum’s 54th birthday (or do you stop counting when someone dies?) passed, just as every other day has. People often say that they hope their loved ones are celebrating wherever they are but I’m not sure I believe in heaven, or an afterlife. I’m not sure I believe that Mum is alive in another world, space or time. I think she’s probably just dead. But her spirit and everything she’s taught us will live on in us. One thing we have decided to do (which is perhaps a little cliché, but we’re rolling with it) is to raise money for charity. The local children’s hospice needs £5000 to install new lighting along the corridor by the children’s bedrooms, which will not only make it nicer for the children, but will also light up the artwork on the walls. Mum worked there for many years, before later becoming a trustee, and myself and my brothers have fond memories of spending time there while she was working. The hospice holds the values, vision, and beliefs that Mum held. It’s an ambitious target, but we’re hoping to raise this money through donations and fundraising. If anyone would like to make a donation in Mum’s memory, you can do so here, or by texting ‘FOYO53’ followed by £1, £2, £3, £4, £5 or £10 to 70070.